As a college student, your future is full of mystery, excitement, challenges, and fear. In this situation, only knowledge can give you a chance to improve your personal life and you can get a better placement opportunity. So, what can the better way to do this? An internship is an answer. Industrial training is an important part of students life who are preparing for their professional career. It is an organized method or activity through which a student can improve his or her skills, knowledge and can boost their performance, which will help them to meet their career objective. Here in this article, we are going to discuss briefly the advantages of industrial training and some other aspect. Node JS and so on. You can choose these courses according to your personal interest and preference. If you are a creative person then these development courses will help you to start your career. Industrial training gives a long-lasting learning experience. Gives an opportunity to face the real work environment. Enhance students knowledge in one particular technology. This training helps students to increase their self-confidence and they can easily find their own proficiency. Students can easily know about their leadership ability, and responsibility to perform the given task. Increase communication skills and power of creativity. Also, this training provides you aware of the social, cultural, global and environmental responsibility which you have to face as an engineer in your real job situation. Experience of the Company:- Do some proper research about the company, so that you can see how long the training institute has been active. If the company have a continuous track record of providing training, then you can think about the company. Training Methods:- You have to choose a company who has a well-defined training method and materials like-Video tutorials, audio podcasts, PPTs and so on. Efficient Instructors:- Only good course materials are not enough for your training. Make sure that the institute has a team of the well skilled a0nd experienced instructor who has relevant experience in the field you are seeking for. Placement Opportunities:- Know about the placement opportunities of the companies and compare them. After this process, you can easily choose the one, who gives you the guarantee of placements. So, these above points state that these are important points for industrial training and within 45 days you can enhance your skills. 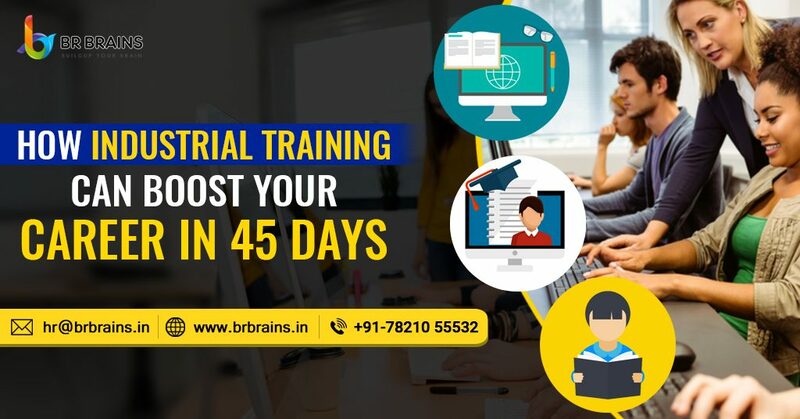 If you really want to develop your skills in a professional manner and within 45 days, you want to outset your skills so contact BR Brains a well-known training institute where we prepare the future of India in a professional manner.